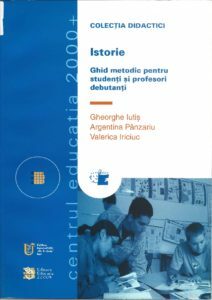 In the context of the the project “Fostering History and Citizenship Education in Romania”, three publications (History Teaching and Democratic Citizenship Education, History of the 20th Century, and The Methodic Guide) were made. 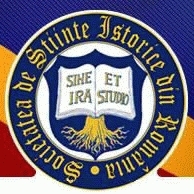 The project provided an important opportunity for history education in Romania. At the time of the project, the transition of Romania into developing into a fully and stable democratic society was still in full swing. Existing myths and stereotypes in history and history education played an important role in the images which Romanian people had of their country, their political system, the peoples and countries which surrounded them and different groups in the population of their own country. This project contributed to the development of history education into a subject which supports democracy, tolerance and participating and responsible citizenship. The project tackled the problem of how to enforce history and citizenship education in present-day Romania in order to foster democracy and Europeanism and prepare the young people to become active citizenship in a democratic society. Valentin Balutoiu, Aurel Constantin Soare, Lucia Copoeru, Ecaterina Stanescu, Constantin Vitanos. Ioan Daniel Boian, Maria Gabriela Dietrich, Mariana Letitia Gavrila, Lacramioara Iordachescu, Daniela Matasaru, Rodica Mihailescu, Ghita Nazare, Nicolae N. Postolache, Igna Claudiu Sular. Carol Capita, Laura Capita, Doru Dumitrescu. Monica Dvorski, Mihai Manea, Eugen Palade.